When setting your wedding budget, it’s important to be realistic about the actual costs associated with the products or services you want. Whether you’re planning to go all out or you’re hoping to keep it cost-effective, certain items are worth the splurge. Here are five surprising wedding costs that are surprisingly pricey and why you should still opt for them. 1. Alterations. If your wedding dress retailer doesn’t offer free alterations with the purchase of a gown, you could spend the extra cash on tailoring. Depending on what you’re planning to do to the dress, it could cost anywhere from $40 to $500 to get it right. Regardless of the cost, this service is a necessity. With the average bride spending $1,200 dollars on a gown, it needs to fit just right on the big day. Call local tailors for the best rate, but make sure that they have good reviews or experience dealing with delicate materials before handing your outfit over. 3. Rentals. When determining your venue, make sure to inquire about what furniture or items are included in your rental fee. If they don’t provide any rentals other than the space, consider what you’ll need. From ceremony seating to reception tables, chairs, plates, stemware, silverware, linens and specialty rentals, your costs can add up quickly. While it’s super important that guests are comfortable and have essentials on the big day, you can cut costs by minimizing unnecessary items. Choose less expensive linens instead of extravagant ones and opt for just one water glass placed at the table instead of the full suite of water, white wine, red wine, and champagne glasses. Also, skip the super cool lounge area and be conscious of the number of tables and chairs you’ll actually need. 4. Cake. While this treat is oh-so-sweet, wedding cakes can seriously eat away at your budget. In 2014, the average cost of a wedding cake was $466, and specialty designed cakes can cost thousands. Plus, you’ll need to factor in the fees associated with actually cutting the cake, typically $1-$3 per slice. 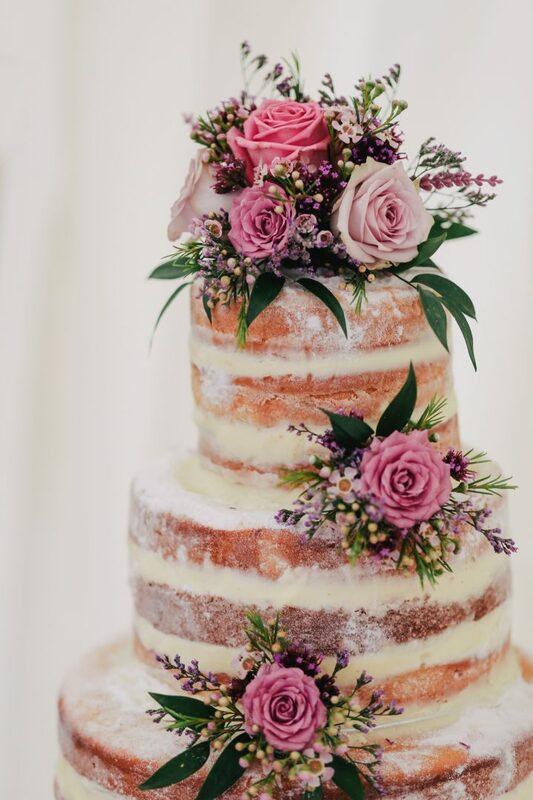 We love the idea of spending funds on a wedding cake, but it doesn’t have to cost a fortune. Consider alternatives to reduce prices. Such as having a small cutting cake and a sheet cake for eating. Or, choose a less intricate design, like a trendy naked cake. You can also create the illusion of a large cake by having your baker include decorated tiers to give your cake extra height for less money. 5. Photographer. Most likely this is one of the largest expenses associated with your wedding, and notably one of the most important. According to the Wedding Report, the average couple spent $1,600 on a wedding photographer last year. Although this cost might be high, it’s essential to have a experienced photographer present on your big day. Just think about the treasured keepsakes you’ll have to remember the day by.